However, there are some tricky roads to maneuver, during the cold, dry winter months, if you are a singer-and that’s before you get in your car! 😉 So in honor of the winter months, I’m going to give you some tips to help keep your voice healthy. This is number one on the list of important things to do ALL WINTER. In fact, it’s probably the most important thing you can do ALL YEAR. Staying hydrated requires more than simply drinking enough water every day, although that’s a great place to start. Make sure you start drinking water first thing in the morning when you get up. I keep water by my bedside all might and make sure I drink it all when I first get up. This is important-especially when you’re planning to sing. Since I recommend warming up every day, that means that you should be singing every day so you will definitely need that water! Don’t forget that it takes about an hour for the water you drink to get to your vocal cords, which are situated on the trachea not on the esophagus. When you drink you may feel an immediate sense of hydration down your throat, but in order to get to the vocal cords themselves, the water must be metabolized and that takes about an hour, so you need to stay ahead of it. If you become thirsty while on a platform, even if you have access to water, you will not be able to “catch up”. You will most likely be thirsty the entire time. Don’t forget that the air is drier in the winter and not capable of carrying as much moisture as warmer air can. Therefore, you may need to add moisture to your air. This is especially important if you live or work in an environment that has forced air (very dry) heat. So, if you don’t own one already, invest in a warm air vaporizer and use it! This is especially important at night when you may not pay attention to the way in which you are breathing. It is considerably healthier for you, for multiple reasons, to breathe through your nose: it cleans, warms and moistens the air you breathe. So while you may make a habit of this during the day, it’s difficult to pay attention to this when you’re asleep. Ha! So make sure you add moisture to your air. This is a short list and there are of course many other things—such as salt—that can dry you out as well. You need to listen to your body and see which things bother you and which things don’t. Winter is the season for a lot of outside activities. Things like caroling, football games, enjoying an outdoor fire or even a hot tub (there’s nothing like an outdoor hot tub in the snow!) can put you in a situation that is really harsh vocally. That cold air on the vocal cords is a killer. I can remember many years ago I was the music director at a church that did caroling as an outreach—right before the annual Christmas Cantata. The pastor, of course, wanted all the best singers to participate. He and I had to have some (respectful) discussion as to why my singers were NOT going to go out singing in the damp, cold weather the night before another important outreach—our Christmas program! Eventually, he moved the dates around to try and accommodate the choir, but I continued to skip that particular event as it was simply too risky for me. Shouting at a football game in the freezing cold (or even in your living room!) may be a fun way to spend your afternoon or evening, but the damage you do can take weeks to heal. You need to be wise about the use of your voice if singing is a priority to you. It may have been fun as a kid to scream until you “lost your voice”, but it’s not now. Serious damage can occur even from yelling for just a couple of hours and once you’ve reached full “adulthood” it can take much longer to bounce back. These situations are dangerous, vocally, anytime, but in the winter time with the cold dry air it’s even more so. You can have fun, spend time outdoors and even use your voice– you just need to be smart about it and more cautious than usual. Keep a non-mentholated cough drop in your mouth when you go out. It will help you to salivate more and breathe through your nose. 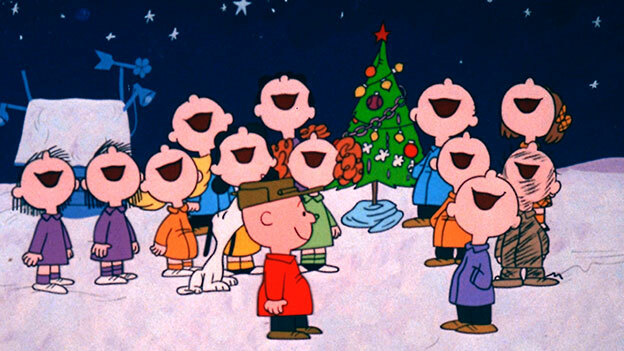 #3) Eat, drink, be merry and sing!